This is the season of Sedum. If you look, you’ll see it in so many yards and gardens, starting to turn pink this time of year. It will eventually turn burgundy-brown. Fun fact! There are many different varieties of Sedum, and some companies use it on their green roofs to filter water and keep the buildings cool, including Nintendo! 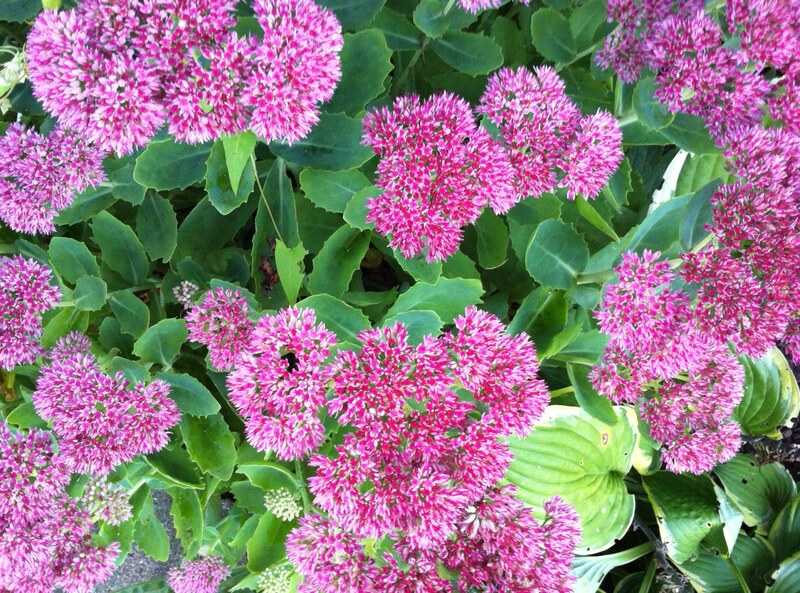 Do you grow Sedum? Do you have a use for it besides ornamental? I’d love to know. This entry was posted in Day to Day Life, Outdoors and tagged Autumn, Cape Breton, gardening, quick post Friday. Bookmark the permalink.